Is being held at Rutland Water on Thursday 25th April, with a practice day on Wednesday 24th April. Accommodation is being provided at the Greetham Valley Golf & Country Club, with an optional single or two nights stay. Attendance at this event is open to all members and funding to support their attendance is provided by the GMP Sports and Social Club. Requests to enter this competition and deposits from attending members need to be submitted/paid by no later than 31st January 2019. Participating anglers may attend each of stage once however do not need to attend all stages. 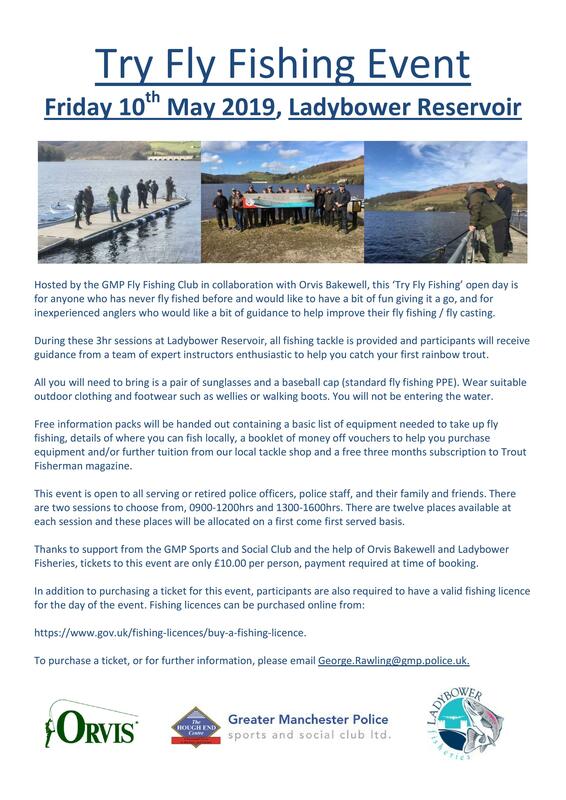 This event is open to all GMP Fly Fishing Club members and all you need to do if you would like to participate is turn up at Bank House Fly Fishery and tell them you’re from GMP and you would like to take part in this event. There is no requirement to pre-book your attendance, nor is there any requirement to attend all three stages, however participating anglers may only attend each stage once. Fishery rules apply. Is being held on Thursday 2nd May at Rutland Water. This is an individual event and places allocated to GMP will be offered to members on a first come first served basis once details have been confirmed. This is a self-funded event and the fishing costs per person will be in the region of £40.00. Is being held at Carsington Water on Wednesday 28th August. This is an individual event and places allocated to GMP will be offered to members on a first come first served basis once details have been confirmed. This is a self-funded event and the fishing costs per person will be in the region of £40.00. Is being held at Eyebrook Reservoir on Wednesday 25th September with a practice day being held on Tuesday 24th September. Accommodation will again be provided at the Best Western, Corby. This is a pairs event and places offered to GMP anglers will be allocated on a first come first served basis, with anglers choosing their own pairings. This is a self-funded event and the total cost of the competition day and accommodation will be in the region of £145.00 per pair. Practice day costs will be in the region of an additional £60.00 per pair. Is being held at Carsington Reservoir on Wednesday 9th October. The team of four that will represent GMP at this event will be selected by the GMP Fly Fishing Club Secretary based on club member’s performance at prior events. This is a self-funded event and the fishing costs per person will be in the region of £40.00. Is being held at the Lake of Menteith on Wednesday 23rd and Thursday 24th October, travelling up on the day before (22nd) and returning the day after (25th). This is an individual event and places offered to GMP anglers will be allocated on a first come first served basis. This is a self-funded event and the total cost of the two days fishing and accommodation will be in the region of £150.00 per person. Is being held in September on the River Tees, Teesdale, date to be confirmed. This is a three day event, with a practice day being held the day immediately prior to the two competition days. Accommodation will likely again be provided at the Teesdale Hotel ,Middleton-in-Teesdale. Attendance at this event is open to all members and funding to support their attendance is provided by the GMP Sports and Social Club. Requests to enter this competition and deposits from attending members need to be submitted/paid by no later than 30th June 2019. This event was attended by George Rawling who despite only able to attend day two of the competition still finished in 8th place and caught the biggest fish of the match with a 39cm grayling. 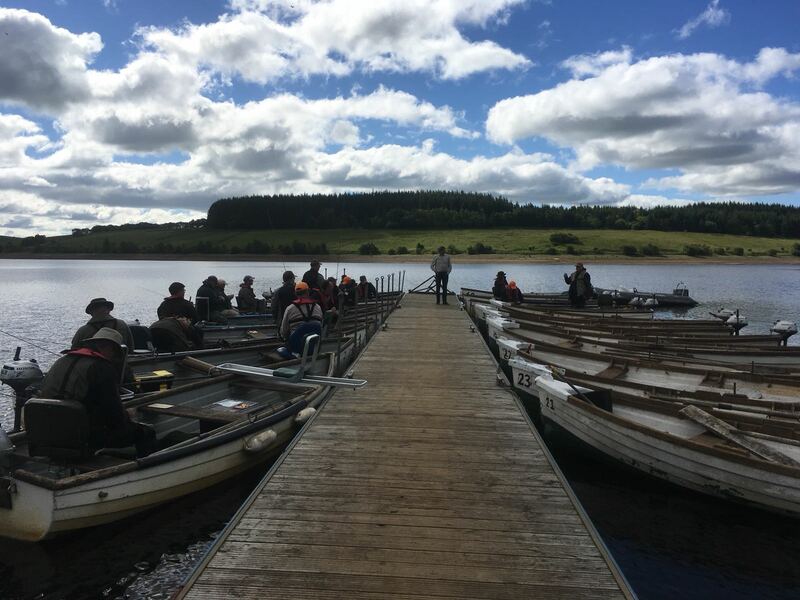 Ten GMP anglers who competed as both individuals and as teams against other police anglers from the North West on Stocks Reservoir, Lancashire. As Individuals, Yousef Dar finished in 3rd place with 2 fish for 4lb. Jason Ruff 5th place with 2 fish for 3.08lb. Eugene Mole 6th with 2 fish for 2.11lb. George Rawling 7th with 1 fish for 2.07lb. Dean Dickenson 9th with 1 fish for 2.01lb. Karl Horner 13th with 1 fish for 1.13lb. 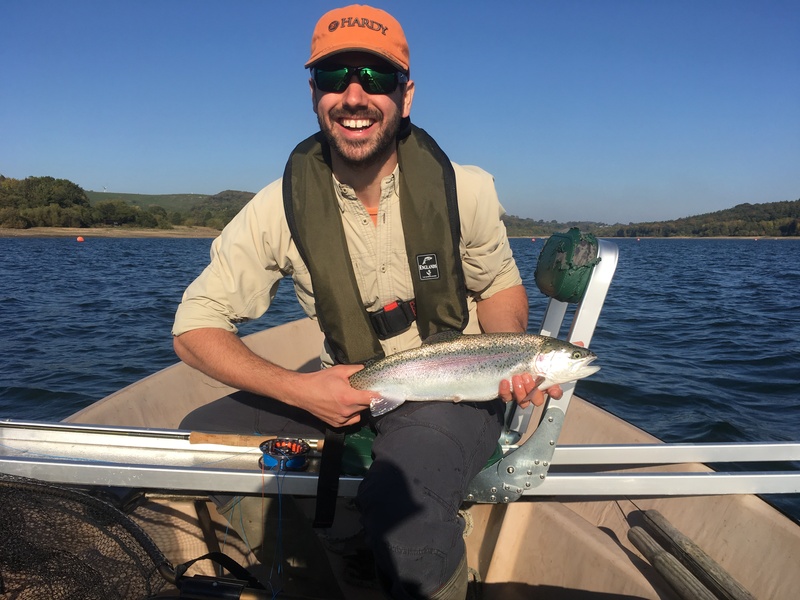 English Police Fly Fishing Association - 2018 Boat Championship. Three GMP anglers, George Rawling, Dean Dickenson and Yousef Dar, attended Rutland Water in Leicestershire to compete against other police anglers from all other English Police Forces. In total 53 anglers competed, Dean achieved a ranking of 21st place after catching 5 fish for a total bag weight of 10lb 5oz. George Rawling ranked in 24th place with 4 fish for a total bag weight of 8lb 15oz. The score of Yousef Dar was not recorded. Police Sport UK Fly Fishing - 2017 Regional Boat Championship. Five GMP anglers, Dean Dickenson, Jason Ruff, Yousef Dar, Derek Lee and George Rawling competed at against other police anglers from the North West on Draycote Water, Warwickshire. George Rawling fished as an individual and the team was made up from the remaining four GMP anglers. The top GMP angler for the match was George Rawling who caught 6 fish for a total bag weight of 13lb 8oz. Jason Ruff caught 5 fish for a total weight of 12lb 2oz. Derek Lee and Yousef Dar both caught 2 fish for 4lb 14oz. Dean Dickenson caught 1 fish for 1lb 9oz. English Police Fly Fishing Association - 2017 Boat Championship. Three GMP anglers, George Rawling, Jason Ruff and Yousef Dar attended Rutland Water in Leicestershire to compete against other police anglers from all other English Police Forces. 39 police anglers competed in total. George Rawling was ranked in 32nd place, catching 3 fish for a total bag weight of 5lb 8oz. Jason Ruff was one of the five anglers that did not catch that day. The score of Yousef Dar was not recorded. 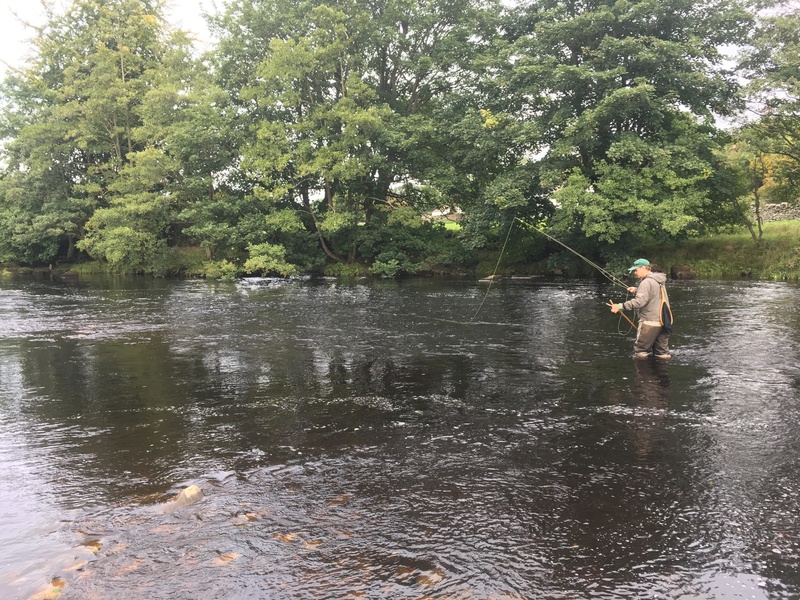 Following his qualification into the English Police Fly Fishing Team, Yousef Dar competed against police anglers from Scotland, Wales, Northern Ireland and Garda Síochána at this event which was held at the Lake of Menteith, Scotland. Three GMP anglers, Yousef Dar, Dean Dickenson, and George Rawling, completed as a team against other police anglers from the North West on Draycote Water, Warwickshire. Yousef was the top GMP rod with 12 fish for a total bag weight (including 6lb time bonus) of 29lb 13oz. George had 7 fish for a total bag weight of 13lb 4oz, and Dean had 5 fish for 8lb 15oz. The purpose of the Greater Manchester Police Fly Fishing Club is to introduce, encourage and develop eligible GMP Sports and Social Club members to participate in the sport of fly fishing and enable those who wish to represent Greater Manchester Police at competitive police events throughout the fishing season. * Serving police officers and police staff (including retired members that are paid by GMP upon returning to work in any capacity) who pay monthly subscriptions to the GMP Sports and Social Club. * GMP officers and staff who have retired fully on a GMP pension who have paid an annual surcharge of £24 to the GMP Fly Fishing Club.